The CIA and FBI use CrowdStrike software as a back door into the nation's cyber systems. CrowdStrike software is installed in nearly every federal agency and department including Congress, the FBI, the Defense Department, and the White House. Stuart McClure, a founder of CrowdStrike, said their software "doesn't do anything around prevention", "only ... detection". And CrowdStrike software doesn't "do it all that well." McClure was quoted in Forbes, a global business PR network. To prove McClure's point, Google has never used CrowdStrike software. Three out of four federal agencies are at significant risk of being hacked, according to a May 2018 report from the Office of Management and Budget (OMB). The OMB found 71 out of 96 federal agencies have computer information security programs that were either "at risk" or at "high risk". Only 25 agencies were reported to be managing risk using recommended tools and policies. The Office of Management and Budget is part of the Executive Office of President Donald J. Trump. Yet as an FBI contractor, CrowdStrike still has top secret clearance. According to a FISA (Foreign Intelligence Surveillance Act) ruling, CrowdStrike has "unrestricted illegal access" to the nation's surveillance data. Homeland Security's first head, Tom Ridge, routinely called the FBI "a propaganda machine". If alive today, Ridge would say the FBI has upped its game. That FBI public relations (PR) fiasco is compounded at CrowdStrike by its President, Shawn Henry, who retired from the FBI. A search of "CrowdStrike" on Reuters, a global PR service for businesses, shows 240 posts since 2012. CrowdStrike was part of the Department of Defense's cyber program that granted top secret clearances to non-government employees and corporations. The program was designed by the Obama Administration in 2011 to fill the gaps in the nation's cyber defense programs. Pictured above is Shawn "Uncle Fester" Henry. He retired from the FBI to become President of CrowdStrike. Henry's real picture will appear later in this post. Uncle Fester was a character on the "Addams Family" television show. A light bulb would turn on whenever it was inserted into his mouth. According to George Webb Sweigert, Henry is one of Hillary Clinton's "Three Henchmen" with FBI connections. The other two are former FBI Directors Robert Mueller and James Comey. Deleting the back door in CrowdStrike software may be impossible. It may require a new non-CrowdStrike system, an act of Congress, or an Executive Order to plug CrowdStrike's back door. Pulling CrowdStrike's troika is the CIA, FBI, and Michael Alpernovitch or "Papa Bear". According to George Webb Sweigert, "Papa Bear" heads "Hillary's Hackers" (Clinton). CrowdStrike and its top executives have a history of fiascoes and hacks. CrowdStrike is the cyber world's Clinton Foundation without the charity. CrowdStrike has a real Russian connection. The key players, the Alpernovitch family, were born in Moscow. They are known as "Mueller's Moscow Mules" by the FBI after their former director, Robert Mueller. What is worse than being exiled to Siberia? Being "assigned" to the Chernobyl clean-up team. The Chernobyl nuclear disaster occurred in 1986. Chernobyl is 65 miles north of Kiev, in the Soviet Ukraine. Michael was to be sent to Chernobyl as part of a rescue mission. Many of Michael's close friends and colleagues died of radiation poisoning within months of the mission. After 30 years, the Russians are still cleaning up the nuclear radiation mess in Chernobyl. The CIA made "Papa Bear" Michael Alpernovitch an offer he "couldn't refuse". Come to America and work for the CIA. Or stay in Russia. To get him out of Russia, Canada approved a visa in 1994 for "Papa Bear". Once in Canada, the CIA made Michael an American citizen. He was granted top security clearance to work for the Tennessee Valley Authority, Chattanooga office. Alpernovitch may have found the work boring. He was reputed to be one of Russia's top hackers. His academic background was in mathematics. Only his son, Dmitri, said his father was a nuclear scientist. The CIA has used the Canadian embassy before to get CIA assets out of foreign countries and into America. Dmitri was 15 years old when his family moved in America. The Oak Ridge National Laboratory near Knoxville, Tennessee, claimed it was hacked on Dec. 10th, 2007. Oak Ridge is home to the world's five largest super computer. Oak Ridge is part of the Department of Energy. Its lab is 18 square miles. It is 111 miles from Oak Ridge to Chattanooga. It has a Chattanooga office. Dmitri's citizenship papers were approved Oct. 25th, 2010. The public record of his citizenship application is blocked from public records by the U.S. Citizenship and Immigration Services. His file is marked, "Withheld pursuant to (b)(6) COW2010000515". "Papa Bear" Michael (me KYLE) and son, "Baby Bear" Dmitri Alperovich (al PEAR oh VITCH). There is no "Mama Bear" unless it is Hillary Clinton. Margarita Alpernovitch is Papa Bear's sister. She retired from the FBI. She has no official connection to CrowdStrike. Alperovich, Margarita CONTRACTOR 203-777-6311 US Margarita.Alperovich@ic.fbi.gov. J. Keith Mularski sold furniture for five years before working for the FBI. "But I've kind of always liked computers," said Mularski. "It kind of looked like cyber was the wave of the future." The FBI transferred Mularski to Pittsburgh, Pennsylvania, the FBI's Silicon Valley. He helped start the FBI's Cyber Division in 1999 with seven other agents. "The majority of all my computer training was just on-the-job training at the bureau," said Mularski. In 2005, the FBI named Mularski to lead in an undercover operation believed to be a Russian credit-card-theft syndicate. He admitted to Esquire Magazine that he had no Internet experience. Keith relied on "Baby Bear" Dmitri Alperovitch, "a good guy and a friend," to teach him. For the FBI sting, Dmitri posed as a “Russian gangster” on spam discussion forums. The sting started in November, 2006 and was called "Dark Market". Mularski told Esquire he was working 24 hours a day for two years. His wife "didn't like it." Mularski admitted to Esquire that he blew the operation by logging in from an FBI computer in Pittsburgh. That's when a real cyber criminal found the location. The hacker was "The Iceman", "Max Ray Vision". An FBI press release had his name as Max Ray Butler. Even after the FBI sting was exposed, Mularski kept the Dark Market operation open. Based on Butler's warning though, the real criminals stopped using the FBI's site. Only the posers, the non-criminals, many operating out of unsecure coffee shops, stayed on the site. These were the ones arrested. The hacker impostors never stole a thing, but craved the attention of acting like a sly cyber thief. When a German radio network reported the Dark Market operation from court documents, the FBI shut down its sting. One hacker offered 3.7 million records from a compromised online dating site for $110. Eight of the 56 arrests were made in the U.S. Five were in Pittsburgh, two in Wisconsin, and one in Louisiana. Inside Keith Mularski's FBI Cyber Office in Pittsburgh. The taxpayers paid a lot of FBI overtime for nothing. No one was convicted. No money was stolen. Therefore, the Justice Department was unable to charge anyone with a crime. Regardless of the results, the FBI still promoted themselves as super cyber sleuths. To the FBI, Mularski was like a national hero. He saved a lot of jobs. He received an Award for Excellence in the field of Public Policy. He spoke at a convention for security cyber specialists. It is unknown who referred "Baby Bear" to the FBI. Dmitri was V.P. of Threat Research at McAfee in 2008. Prior to that, he worked for CipherTrust. They were bought by Secure Computing (SC) in 2006. Before Baby Bear started working for McAfee, on April 21st, 2008, the Hillary Clinton Campaign for President received a unique gift from an admirer. The website for Barack Obama's Campaign for President received no traffic. Blocked? No. They were transferred to Hillary's web site. A video of how the Obama for President Campaign site was flipped to Hillary Clinton's. George Webb Steiger worked with "Baby Bear" at McAfee. According to George, their job was to hire a dozen "Russian hackers to write viruses to stimulate software sales". "You are most likely to buy the software when something like that happens", said Webb. Like what happens? Like when your company's entire computer network freezes. Webb's comments are in the video below. He has over a dozen videos on the Russian hacking groups, the Alpernovitch family, and CrowdStrike. They are on the internet's YouTube channel. 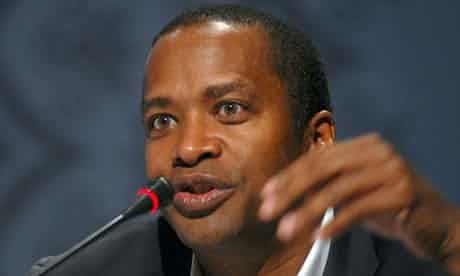 Google's Chief Legal Officer, David Drummond, said his company suspected that a selected group of email accounts in China were hacked by an unknown source or sources. Baby Bear led the investigation into Operation Aurora. Out of all the people in the world, Google chose Dmitri to lead the investigation. Three years later on April 22nd, 2013, Google discovered Dmitri's China email investigation was incomplete and its focus misguided. The data base of current spy surveillance warrants from the FISA Court (Foreign Intelligence Surveillance Court), according to Dave Aucsmith. He is Senior Director of Microsoft's Institute for Advanced Technology in Governments. "What we found was the attackers were actually looking for the accounts that we had lawful wiretap orders on", said Aucsmith. Aucsmith was brought to protect Microsoft from being blamed for Google's loss. Ongoing FBI investigations were compromised. No numbers were given. Warrants include names of targets, spies, terrorists, government employees with surveillance data and contact information. Aucsmith was Chief Security Architect for Intel Corporation from 1994 to 2002. According to President Donald J. Trump, Intel is the world's largest defense contractor. Intel is another company created by DARPA (Defense Advanced Research Projects Agency). Like Baby Bear, Aucsmith was graduated from Georgia Tech. Unlike Dmitri, Aucsmith is on the faculty of the Intelligence Academy. It consists of former senior executives from several national security agencies, including the major intelligence agencies: CIA, DIA, NSA, NGA, NRO, State/INR, and Dept. of Defense. Dmitri Alpernovitch is no where on the Intelligence Academy's faculty listing. Why did Baby Bear come to a different conclusion than Aucsmith? Why did Aucsmith come to a different conclusion than Dmitri? Was the Google suspected "hack" really a leak? Intel bought McAfee on Aug. 21st, 2010. Intel reported record quarterly profit of $2.9 billion. Baby Bear kept his job at McAfee. For now. The name McAfee is kept and operates as a separate company under Intel. At a corporate publicity event for McAfee, Alperovitch admitted to a reporter that his personal information, his phone number, was hacked. “They (N.Y. Times, CNN, Reuters, PBS) started calling me on my personal phone,” Dmitri told Joris Evers, McAfee's Director of Public Relations. “How did they get my phone number?”, said Dmitri. No one else in the world found it. Just him. While being interviewed by Esquire Magazine, Renee James, President of Intel, called Baby Bear. "Dmitri, Intel has a lot of business in China. You cannot call out China in this report", said James. Baby Bear told Esquire that Intel was "terrified of losing their ability to market products in China." Alperovitch removed the word "China" from his report. He renamed it "Shady Rat". The date of Dmitri's report was deleted. Baby Bear told Esquire that James' phone call "accelerated" his plans to leave Intel. 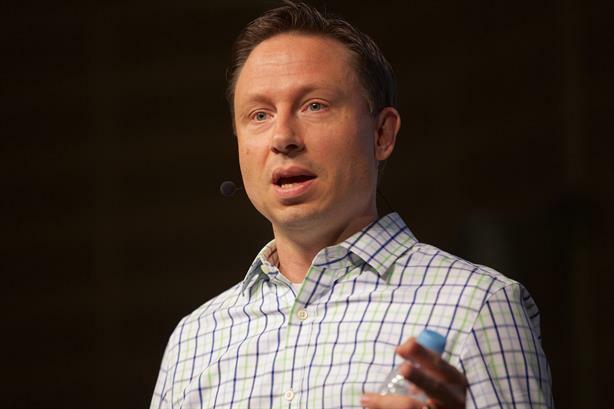 Alpernovitch said he was "being censored because I'm working for a company that's not really an American company." James told Esquire she had "no comment". Baby Bear's report was timed to be released the day of the Black Hat USA convention in Las Vegas, July 31st, 2011. The Black Hat event is for information security specialists. Black Hat also has conventions every year in Europe and Asia. According to Black Hat, "All presentations are vetted thoroughly by the Black Hat Review Board. Each submission is reviewed for uniqueness, overall content expertise and accuracy before any selections are made." The Review Board never approved Alperovitch's report for presentation at their convention. A District of Columbia based media source posted a story about McAfee's report the day before the convention. The week before the convention, Alperovitch made confidential briefings on Shady Rat to Senior White House officials. He also met with Sen. Dianne Feinstein (D-CA), Chairman of the Senate Select Committee on Intelligence. After the convention, the fallout began over the "Operation Shady Rat" report. How big of a fiasco was it? McAfee deleted Dmitri's report from its website. It took the smile right off his face. Five weeks after the Black Hat Convention, Baby Bear was no longer working for McAfee. Neither were his friends and co-workers, George Kurtz and Stuart McClure. George Kurtz and Stuart McClure are to business ethics as Dmitri Alpernovitch is to cyber skills. Kurtz and McClure started a company called Foundstone in 1992. They were accused of copying computer hacking prevention classes from Ernst & Young. In 2003, Kurtz and McClure stole other companies software and sold it as theirs, according to Saumil Shah, a former employee. Shad called it "piracy". In 2006, Kurtz and McClure increased their pay by backdating stock. The practice is illegal. It happened for ten years. It increased their pay when they sold the company to McAfee. As a result, Foundstone lost $150 million. 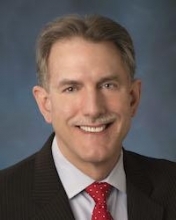 Foundstone's new President said he was fired because "it happened on my watch." Kurtz has top secret clearance as an FBI contractor. McClure no longer works for CrowdStrike. It is unknown whether he also has top secret clearance as an FBI contractor for Cylance software. McClure's company has an office in Australia. Now Kurtz and McClure are competitors. Gregg Marston was CrowdStrike’s other co-founder. He worked as chief financial officer of Foundstone. New business filings were made on Sept. 12th, 2011 by CrowdStrike. It was incorporated in California the next day. Kurtz started working for Warburg Pincus two months after he left Intel/McAfee. The Warburg Pincus firm invested $26 million into CrowdStrike on Feb. 24th, 2012. With it, CrowdStrike hired 20 employees and set up offices in San Francisco, Seattle, and Washington, D.C.
Kurtz said CrowdStrike was "developing technology" and promised their first software product by June. Why would private investors dump $26 million into a new company with no existing, pending, or developing products or services? The only background check this troika of CrowdStrike co-founders could pass was with the FBI. Yet their top security clearance has never been revoked. Would money laundering crime syndicates trust CrowdStrike with $26 million? They would if there was no risk and exponential reward. Is the reward intelligence data? What else could it be? Alperovitch told Reuters that the company hopes to release its first products in late 2012. Denis O’Leary was named to CrowdStrike's Board of Directors on May 7th, 2012. In his 25-year career at JP Morgan, O'Leary was Chief Information Officer, Director of Finance, Head of Branch Banking and a member of its nine-member executive committee. O’Leary is currently managing partner of Encore Financial Partners Inc, a company that acquires and manages U.S.-based banks. Warburg Pincus was the first one to begin venture capital associations in China. Warburg Pincus has a vested interest, like Intel, of never accusing the Chinese of hacking into anything American. Tim Geithner is President of Warburg Pincus. Geithner was Treasury Secretary in 2010. He headed the committee that approved Hillary Clinton's Uranium One deal. In it, Russians were sold 25 per cent of America's uranium resources. President Obama credited Geithner with the plan to prop up Obamacare with $260 billion. The plan caused the 2008 market meltdown of the housing market. Federal mortgage investors were the victims of this theft. Before he joined the Obama administration, Geithner was President of the New York Federal Reserve Bank. He along with Federal Reserve Chairman Ben Bernanke and Treasury Secretary Hank Paulson designed the bailout program. It saved the banks from bankruptcy during the 2008 subprime lending fiasco. The crisis was caused by the federal government. Google Capital invested $100 million in CrowdStrike on July 13th, 2015. Google knows better than to use CrowdStrike software. When asked directly by Fortune Magazine whether Google was a customer, CrowdStrike's CEO George Kurtz said, "No comment." What was the first thing CrowdStrike executives Kurtz and President Shawn Henry did after the check for $100 million cleared? They posed with their race cars for Fortune Magazine. It is unknown what country CrowdStrike's party was in. 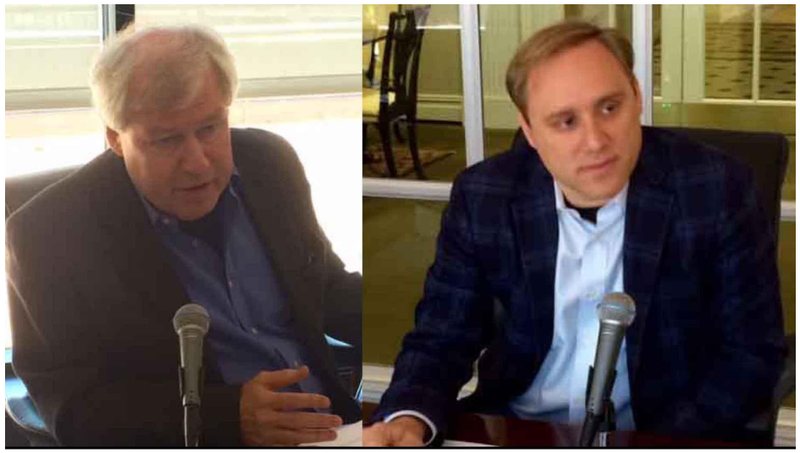 CrowdStrike's President Shawn Henry (left top in black) with his CEO, George Kurtz. Shawn Henry (above). 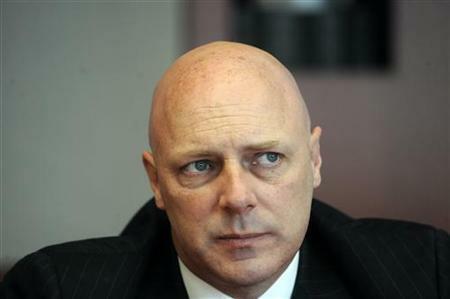 The Patriots' in the FBI continue to call him "Uncle Fester" even after he retired in 2012. While working at the FBI, Fester was the bureaucrat in charge of all the FBI's investigations around the world. Former FBI Director Robert Mueller promoted "Uncle Fester" more times than anyone else in the FBI. Five private equity firms invested $256 million into CrowdStrike. Google was good for $100 million of it. Four other firms invested $156 million. They were Warburg Pincus LLC, Accel Partners, March Capital Partners and Telstra, a telecommunications provider in Australia. CrowdStrike has never earned or reported a profit. It has never reported annual sales higher than $43.7 million. President Barack Obama has direct ties to CrowdStrike too. President Obama appointed Steven Chabinsky to his cabinet on April 13th, 2016. Chabinsky became a member of the Commission on Enhancing National Cybersecurity. 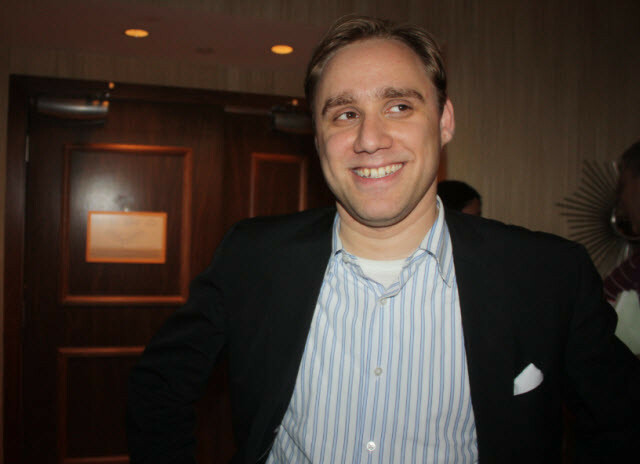 At the time, Chabinsky was General Counsel and Chief Risk Officer for CrowdStrike. Also named to President Obama's commission was General Keith "Get it All" Alexander, the director of the National Security Agency (NSA). The General was dubbed "Get it All" because of his policies of collecting every email and phone call in American. 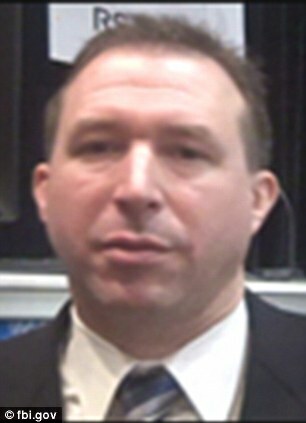 Chabinsky was Chief of the FBI's Cyber Intelligence Section before quitting to join CrowdStrike in 2012. He also served as the Senior Cyber Advisor to James Clapper, Director of National Intelligence. Chabinsky's job at the FBI was protect the country from cyber attacks and espionage, online child exploitation, and internet fraud. 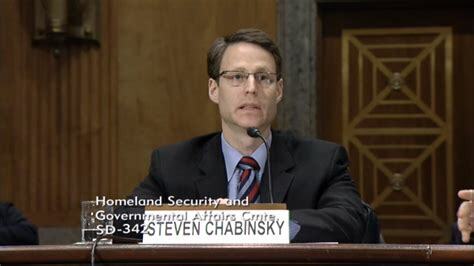 Chabinsky worked for CrowdStrike as General Counsel, Senior V.P., and Chief Risk Officer from Sept. 20th, 2012 to Dec. 1st, 2016. Chabinsky quit CrowdStrike to become a partner in a law firm on Dec. 1st, 2016. Donald J. Trump was elected President Nov. 9th, 2016. If President Donald J. Trump has failed to fire him, Chabinsky has retained his top security clearance. Dmitri Alpernovitch is a "good fella" for the Atlantic Council. He is listed under "Cyber Statecraft Initiative". George Soros has given the Atlantic Council $181 million for Ukrainian military action against neighboring Russia. Soros routinely says that "Russia is a greater danger to the U.S. than ISIS." Ukrainian President Petro Poroshenko (left) awarded philanthropist George Soros the Order of Freedom. A test conducted by NSS Labs concluded that CrowdStrike software was 70 per cent effective on identifying cyber threats. Their competitors were over 90 per cent. At $1500, CrowdStrike software was also the most expensive. The best brands in the study cost between $400 and $500. NSS Labs' original publication date for their study was February 14, 2017. The authors were Thomas Skybakmoen and Morgan Dhanraj. It was published April 13, 2007 because CrowdStrike filed a law suit to prevent its release. CrowdStrike never said an upgrade of their software was necessary to reach and surpass industry standards. They never announced their budget for research and development. 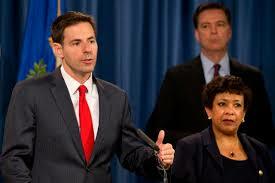 John Carlin headed the FBI's National Security Department. Carlin worked with Shawn Henry, Steven Chabinsky, and "Baby Bear" Dmitri Alpernovitch. Carlin was asked by CrowdStrike to moderate a panel discussion at an April convention of security professionals with Henry and Alpernovitch. Carlin was called "a trusted adviser" by Loretta Lynch, Attorney General, for President Obama. When Robert Mueller directed the FBI, he named Carlin his right hand man. Carlin's official title was Deputy Chief of Staff and Counselor to Robert Mueller. Carlin's job was to advise him on legal and policy matters and to manage the FBI. CIA, FBI, CrowdStrike, Michael "Papa Bear" Alpernovitch, Keith Mularski, Robert "Moscow Mule" Mueller, Canadian Embassy, Tennessee Valley Authority, Oak Ridge Nuclear Laboratory, U.S. Citizenship and Immigration Services, Georgia Tech, Dark Market, Max Ray "The Iceman" Butler, Shawn Henry, President Barack Obama, Eric Holder, Steven Chabinsky, James Clapper, CipherTrust, TrustedSource, SecureComputing, McAfee, Intel, Operation Aurora, Google, John Carlin, Loretta Lynch, George Soros, "The Dukes".